Lori Aletha, Cht is the Director of the NW Center of Enlightenment. She is an Intuitive Counselor, Tarot Reader, Teacher, Minister and a Past-Life Regression Therapist. 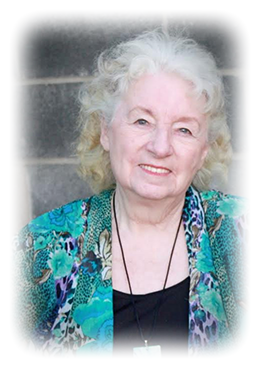 She has studied Parapsychology and Ancient Wisdom Teachings for many years. She was the Director of the Academy of Yoga and has also worked at the Seattle Crisis Center. She has been involved in her Spiritual work for over 35 years. As a small child Lori remembered several of her past-lives and was very surprised when she started school and found out that the other kids didn’t remember theirs. She thought everybody did. Reading an Edgar Cayce book in her early 20’s brought her understanding of her memories. She later had a Near-Death Experience, then waited 19 years before she ever heard of similar stories from the many other people who had experienced an NDE. When she heard their stories she was very happy to finally have a confirmation of a very wondrous experience. As a certified Hypnotherapist, Lori specializes in using past life regressions, Inner-child rescue, NLP, Time-line therapy and working with your Higher Self along with several other modalities, as she is instructed from her guides and yours. Lori has been on Radio and has appeared on several Television shows and at workshops, seminars and created several retreats. She has organized tours to spiritual sites including Machu Picchu, Peru,the vortexes of Sedona and other interesting places. One particularly exciting adventure was to fly in a helicopter just a few feet off the ground over hot rolling lava and around the Volcano, Kilauea in Hawaii when it was shooting fire. She says her greatest joy is to empower and help others understand their deeper questions and to wake up to their own unique path of enlightenment. Advisor for “Manna for the Millineum” an on line self help guide. Lori is the proud mother of 3 daughters and a son, 11 grandchildren and 12 great-grandchildren. She has a private practice in Kent, not far from Seattle. She enjoys helping other talented people advertise and get their businesses started, and for the past 30 years has been the producer of the NW Psychic, Spirit and Alternative Health Fairs. To schedule an appointment. Call 425-562-4777.